Our breakthrough self-watering garden system allows anyone with a small patio to grow anywhere from a handful of pots up to literally acres of them almost effortlessly. I don't think any other system on the market can offer you the flexibility, affordability, and sheer productivity as this one can. 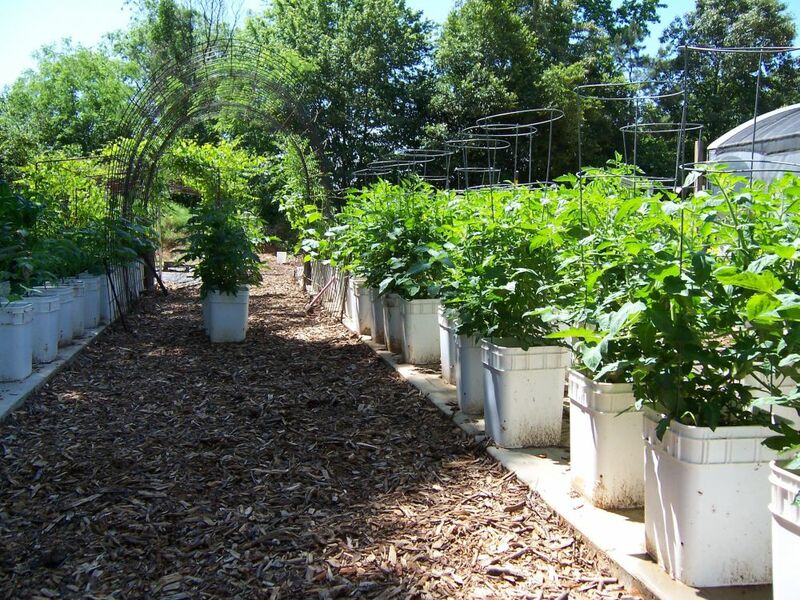 In a nutshell, we show you how to convert five-gallon buckets, cattle feeders, pots, troughs, or just about anything else that will hold water into a self-watering ORGANIC garden. The implications of this are obvious; no more bending down to the ground to plant things - everything is at knee-level. No more watering - and no more water wasted because of evaporation or runoff or leaching into the ground! Weeds are practically nonexistent because you grow in your own soil mix which shouldn't have any weed seeds in it! 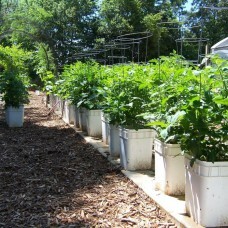 Bottom line, it is the dream of every gardener; a garden that takes care of itself and lets you get on with your life. The concept is quite simple, actually; each pot has a small hose installed near the bottom that feeds to the middle of it. This is covered with a filter material, which is covered with something to hold back enough dirt to allow water to well up inside. Then the bucket is filled with potting soil and fertilizer. Then this small hose is attached to another, larger pipe on the outside of the bucket, which is then attached to the master bucket. This bucket is filled with water, and the level of the water is precisely controlled by a float valve. If you want your plants to have access to more or less water, you simply adjust the float valve, and gravity will feed exactly that amount into every pot. This master bucket is fed from a larger drum, set on a high spot that will allow it to gravity feed the system with water and fertilizer. And that's all there is to it! As long as you have a level surface (or can make it level!) you can have as many pots growing as many plants as your heart desires!